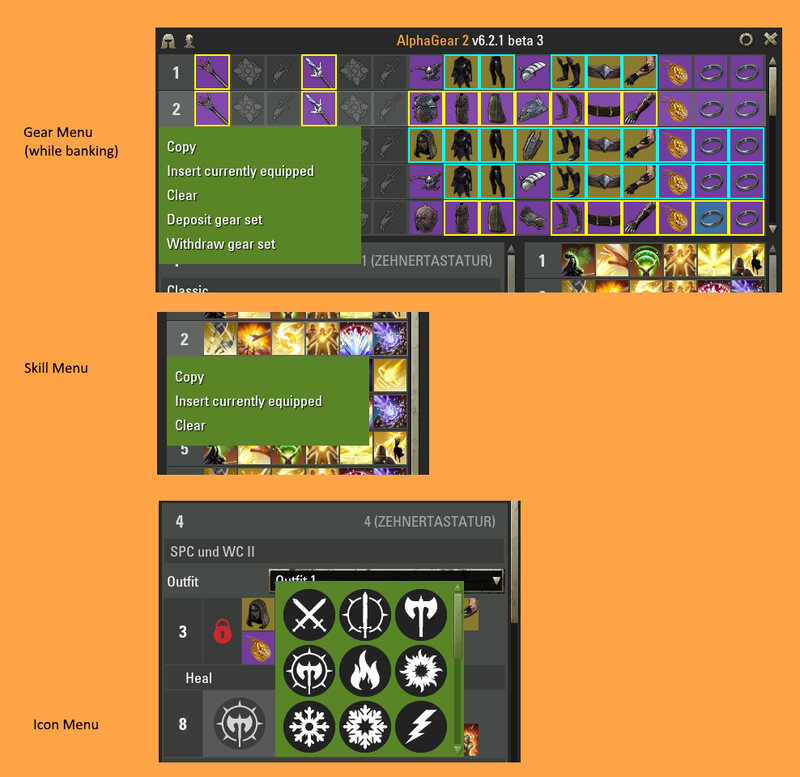 Anything you need to manage your skills and gear. 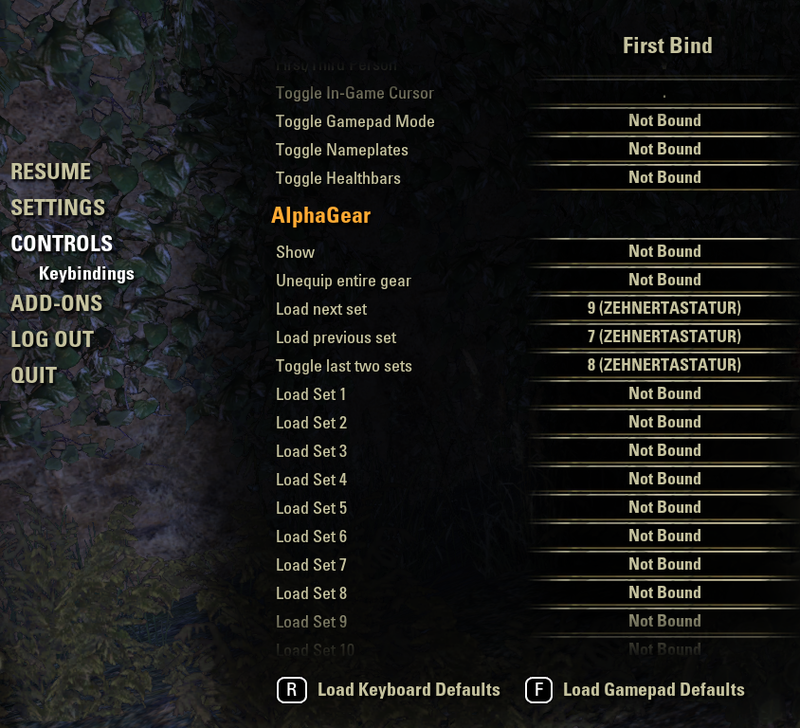 AlphaGear 6.5.0 is compatible with Murkmire and provides 20 freely configurable profiles. 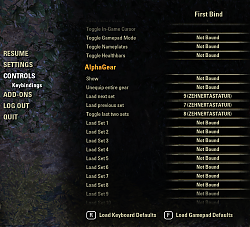 I've adopted this great AddOn from AlphaLemming and changed the name to "AlphaGear 2" for the version that I maintain. Look at the Images for further usage instructions. Updating a version prior 6.x with minion doesn't seem to work. Workaround: Delete the .../AddOns/AlphaGear directory and reinstall AlphaGear 2. Don't delete anything from .../SavedVariables. AlphaGear 2 will reuse your already created sets. Found a Bug? Missing Feature? Just post a comment. I'll add (almost) any request to the wish list. 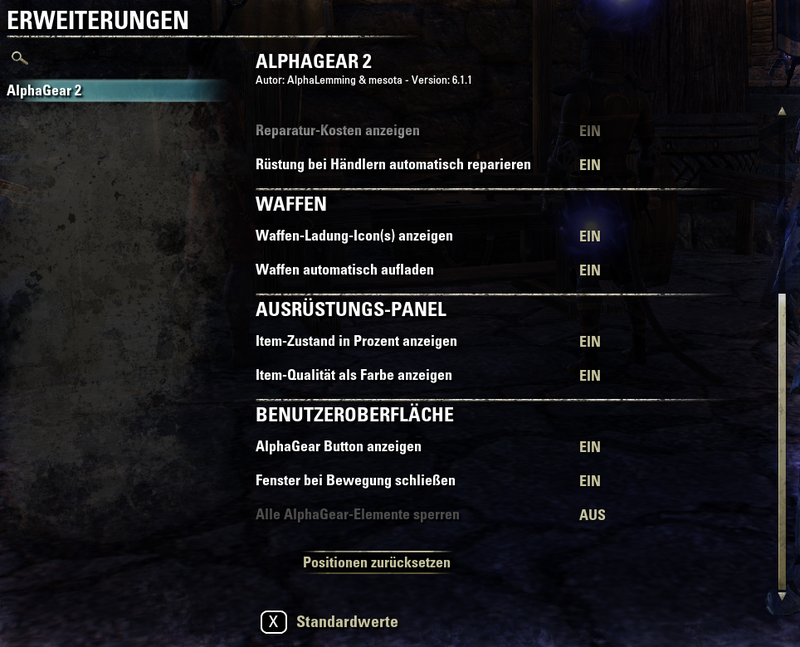 3.1 (Horns of the Reach) = "0"
3.2 (Clockwork City) = "1"
3.3 (Dragon Bones) = "2"
Patch: Increases with every fixed bug or enhancement within a minor version. Qualifier: Arbitrary labels like "alpha", "beta" to indicate a version which is not ready for production ;). 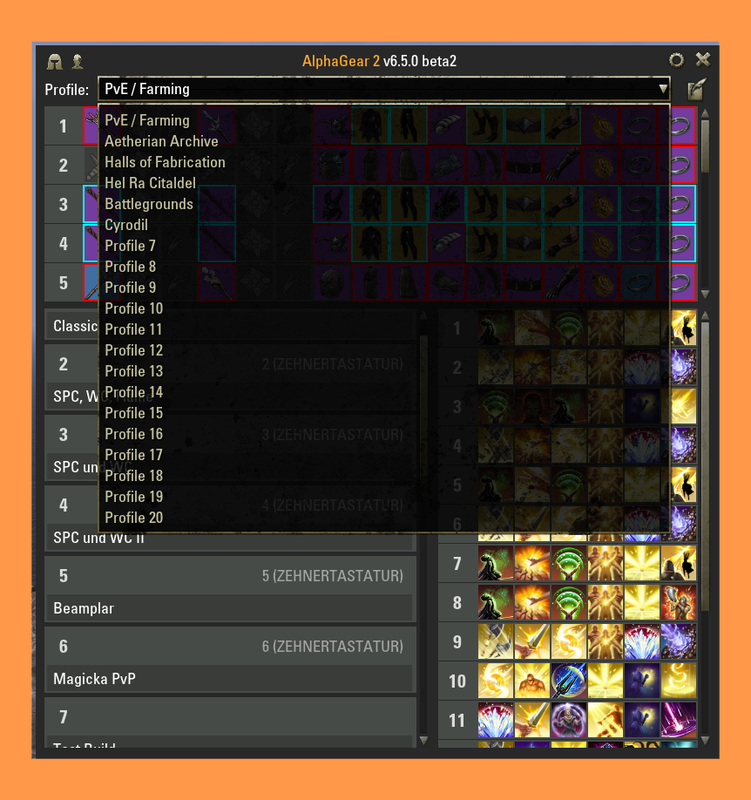 The skill bars are changed to those from the new set, even if the weapons of the new set weren't loaded due to the lack of bag space. 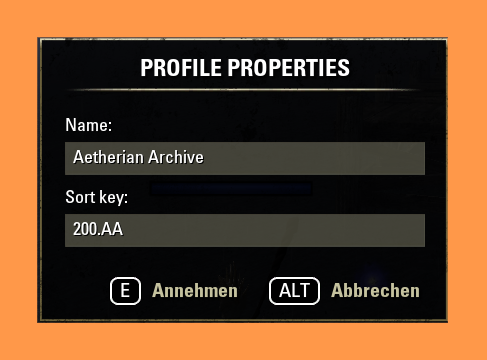 New: Added support for ESO+ bank or home storage. 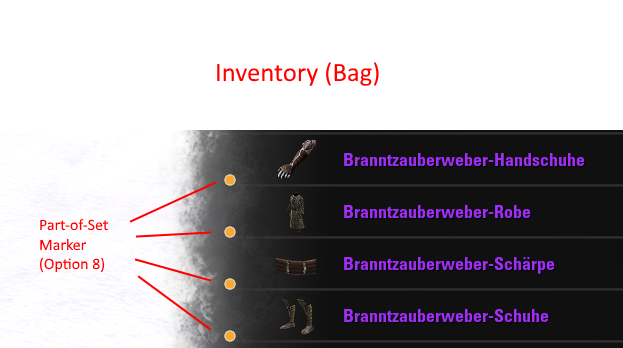 Fixed: Item in bank still "not found" when moved from bank to bag. Fixed a rounding error where a weapon was shown with "0%"
There seems to be a glitch related to battle grounds. nearly same problem for me at this point. not the skills (both bars). Do you know any workaround for this ? Many thanks in advance and keep up the really good work ! Especially with the new profiles, AG is the best setup-manager out there. Last edited by Oliviander : 04/19/19 at 02:04 PM. 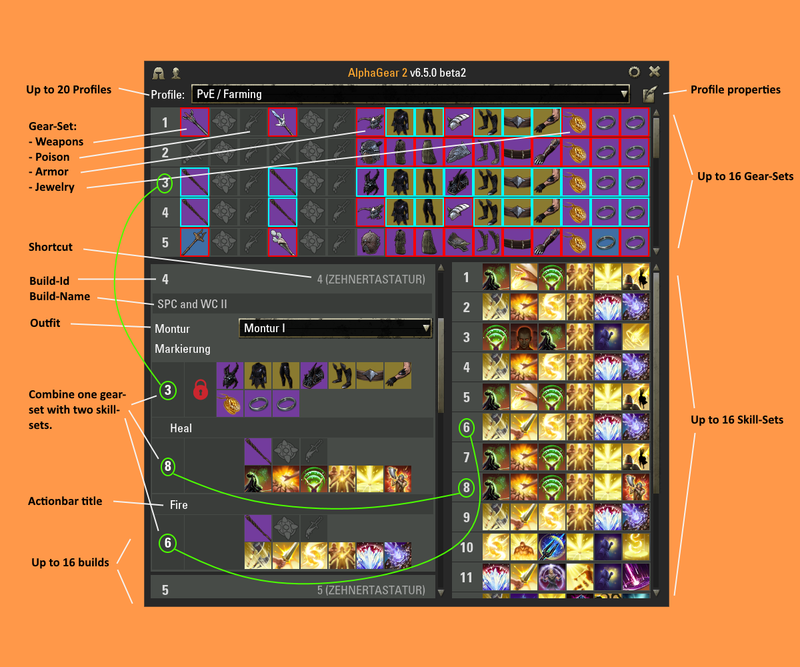 Could there be the option to repair all armor (worn and in bag) at merchants? Right now it only repairs what is worn. Either way, great add on, thanks! Just popping in to once again praise your work...AG2 is my absolute go-to addon, I don't think I could play without it now if I tried. And it just keeps getting better and better with each release! That said, I have a question regarding the 'Wish List'. Is the list actually posted anywhere? I'm not expecting any kind of timeline projection or anything like that, just a general list of things people have already suggested that are being considered, so that enthusiastic users such as myself don't waste your time suggesting things that are already on the list. The wish list can be found on the "Change Log" tab. It's a collection features which are frequently asked for. No time line or promise though. 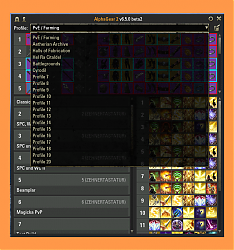 I'm sorry if this has already been asked/requested, but is it possible to add a feature to quickly withdraw/deposit gear for all builds on a profile when using a banker? 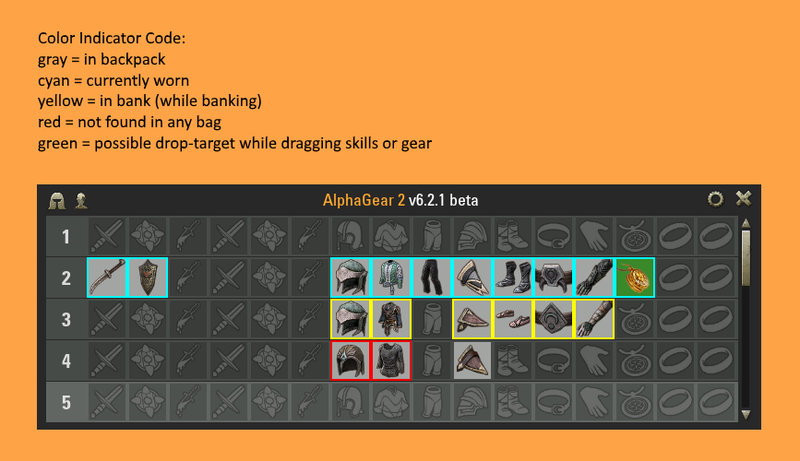 The withdraw/deposit feature is my favorite part of Alphagear. 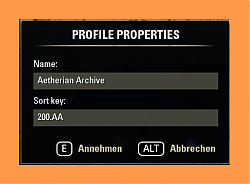 I have several profiles with builds for specific trials/roles, and it would be a really awesome time saver to quickly withdraw all gear for example that are in my vHoF profile's builds at one time. 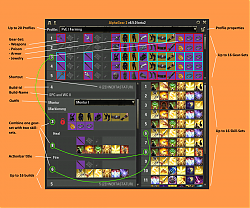 This would help especially when switching between characters. Good idea. I'll add this to the wish list. 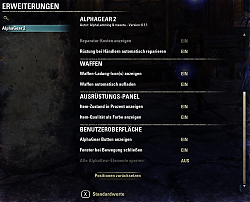 I usually run ESO on my main computer, of course, but once a week and a few times a year I'm away from home, and use my laptop. 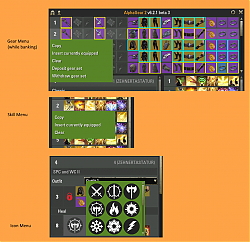 Re-creating the gear sets would be.. tedious at best. I assume I can I just overwrite the /SavedVariables/AlphaGear.lua with a copy from my main machine? I know Minion can do it for me, but it only restores ALL your add-ons and settings with one click. Since my laptop has a smaller screen, I use some different add-ons between the two. I'd recommend to make a backup of your SaveVariables folder- just in case. Last edited by mesota : 04/02/19 at 04:00 PM. I don't know what minion does or how minion defines an update. I use a simple version scheme. The higher the number the newer the version. 6.6.0 beta 1 is the most recent version. After the recent game update, i have to reload the ui frequently for switching to work. Does anyone else has this issue? Sounds strange. Maybe you should manually delete the AG2 plugin folder and try to re install it. Today I have also noticed skills not switching. It just wasn't switching one bar at all, while the other worked normally. Sometimes re-loading ui and trying again works, but a few times even after re-loading it will duplicate the first bar on both. There seems to be a glitch related to battle grounds. Did it happen to you after/while visiting a BGs too?